I'm not a believer in that everyone needs to prep and prime their face before they do their makeup. Before BB balms and CC creams were dug out and raved on, my makeup would stay on all day, and look no different to if I applied a BB or CC cream now. As long as you used the right tools, prep your skin with a good moisturiser if you suffer from dry skin like mine and apply your makeup nicely and in the right way then Bobs your uncle and Fanny's your aunt. However, I thought that whilst they were in full demand, I might aswell give a few a go to see if I could really find a good reason to believe they work. Meet MAC prep +prime, my defining reason as to why ths product is worth the rave..
First of, the simple 3 letter word SPF. Regardless of the weather condtions, SPF is a must have for everyone. Now I'm not going to sit here and blow my own trumpet as I do sometimes forget the importance of SPF. If you're like me, then this product is a great reason to purchase it as it will provide you with great coverage throughout the day. I know that it's winter now but youl be suprised at the damage the suns rays will cause! I apply it with a stippling brush for greater longevity, and to leave a really nice dewy finish on my skin. It isn't cheap, I think it is around £20 but like all MAC products it does last a long time. 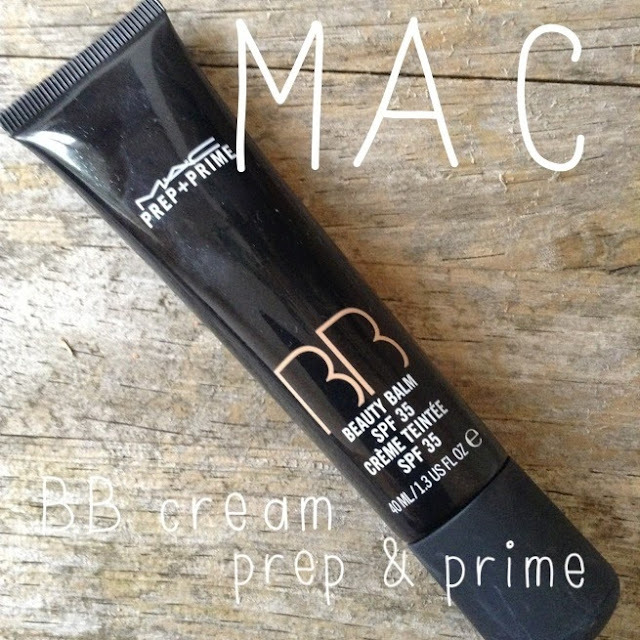 So there it is, a few reasons to buy MAC's BB prep +prime.